Shopping Markets have existed for as long as humans have been trading. It is believed that the first market bazaars have originated in Persia, where they spread to the rest of the Middle East and Europe. In recent years, the concept of markets has been revived, after the boom in malls and supermarkets dented their popularity in the past few decades. 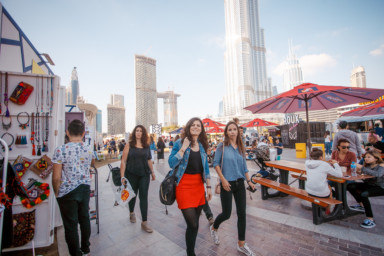 Today, thanks to an aura of cool hipster vibes being injected into the ‘Market Scene’ they are some of the most popular events to take place in Dubai. Last year, I got to enjoy some street food, while browsing the shops for some accessories and clothing. The weather was fantastic, the vibe was cool and the live music set the scene. The free-to-enter market will include a range of activities for the whole family to participate in such as arts and crafts workshops, cap customisation, jewellery making and shoe art sessions. The market will feature emerging designers and give them a platform to showcase and sell their products. 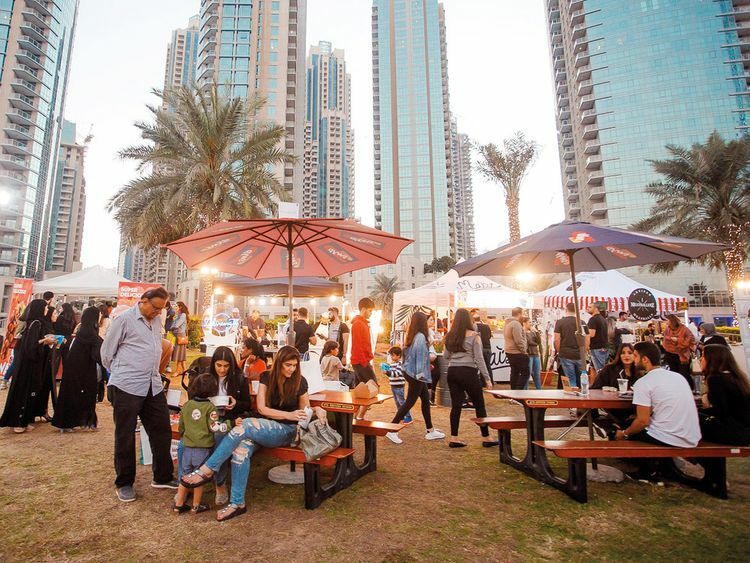 Market OTB caters to a large customer base during Dubai’s famous retail season, showcasing independent local labels in addition to well-known names. Visitors and residents can shop one of a kind jewellery designs and accessories, home decor and fashion for all. Participating brands include Outside Air, whose T-shirts are decorated by airbrush, Turkish Kaftan makers Nesli&Han, Cap crafters B180 and new joiners making their debut at this year’s MOTB; Abaya curators OC Design and Luna & Sol. Back by popular demand are fitness apparel company yApparel, children’s’ clothing brands BIRDSN’BEES Dubai and Bebe Coco Organic, in addition to jewellers High Street Jewelry, Aishas Charms, Chillout Accessories, Maggie Baroud and VICE, showcasing their handmade, individual items made from metals and precious stones. Homemakers can also shop original and iconic items at The Bowery Company, NOW WAY, Mangobeat and Niyala House where nesters can snap up curated collections of furniture and accessories from the homeware brands’ stalls. On Thursday, starting from 4pm, the 10-day event kicks off with performing acts on stage including DJs, musicians, singers, bands, performing arts and school talent shows. On Friday, the stage activities will start from 10am with tonnes of performances and themed shows keeping the crowds going until 10pm. Everyday you’ll have something new to see.